While San Jose, Costa Rica might not look like much on the surface, the capital city and surrounding region hide a number of surprising gems. Often all it takes is driving a few minutes outside of downtown to enjoy the cool climate, scenic valley views and unique tours. 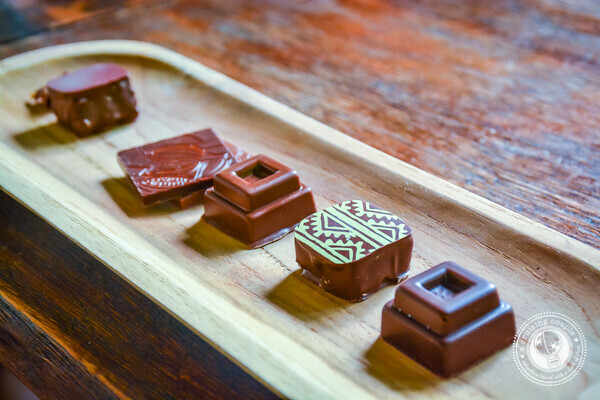 It’s also where you’ll find one of our all-time favorite chocolate tasting experiences: Sibu Chocolate. Just 20 minutes north of downtown San Jose, this decadent chocolate tour is set inside a scenic restaurant, surrounded by lush mountains and an expansive garden—seemingly a world away from the city’s traffic and noise. 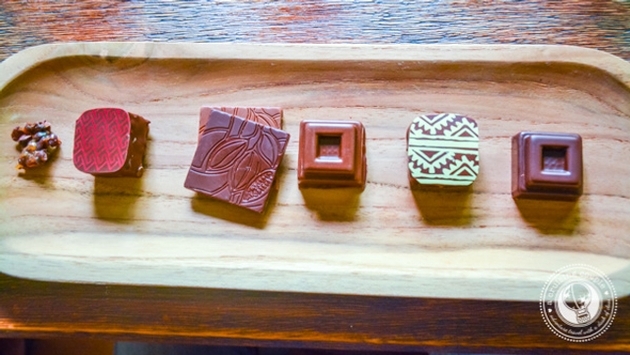 The chocolate tour is equal parts tasting experience, equal parts history lesson. In fact, there’s no walking or touring required; rather, guests sit around a comfortable table where prepared tasting plates await. When we arrived, we were welcomed with an immensely rich hot chocolate drink, and immediately greeted by our guide for the morning’s activities: Julio, co-founder, creative director, and occasional tour guide of Sibu Chocolate. Before offering tasting experiences, Sibu Chocolate got their start selling artisanal chocolates and bon bons throughout Costa Rica. However, founders, Julio and George, did not have an easy road to arrive at their current success. With no background in chocolate, it took years of studying the chocolate making process in Europe, traveling extensively throughout Costa Rica in search of the best cacao beans, and countless hours of experimenting in the kitchen to finally reach their stunning final product. Julio calls his tour “a wine tasting but with chocolate.” We couldn’t think of a better description. 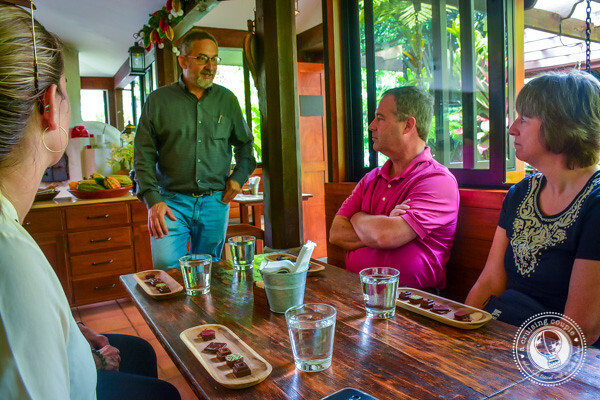 While walking us through the long history and culture of chocolate, not only in Costa Rica, but all around the world, Julio also explained to us how to thoroughly appreciate the chocolates. We were guided through different notes, and encouraged to notice the different flavors that travel through your mouth from start to finish. As a chocolate aficionado, it took savoring the experience of eating chocolate to an entire new level. And with unique flavor combinations like lime and coriander white chocolate truffles, it was easy to want to slow down and enjoy each chocolate for as long as possible. Equally as enjoyable as tasting the chocolate was learning about the unique role chocolate has played in society throughout civilization. From learning how the indigenous drank their hot chocolate to discovering how chocolate first made its way to Europe to understanding how chocolate became a mainstream treat for both children and adults, it was enlightening to realize just how important chocolate has been throughout the centuries. Julio strikes the perfect balance of being both educational and comedic. What very easily could have become a dull history lesson remained an engaging and interactive experience that left us talking about surprising chocolate facts for the remainder of the day. For a relaxing visit to an artisan chocolate workshop, you can’t go wrong with Sibu Chocolate. 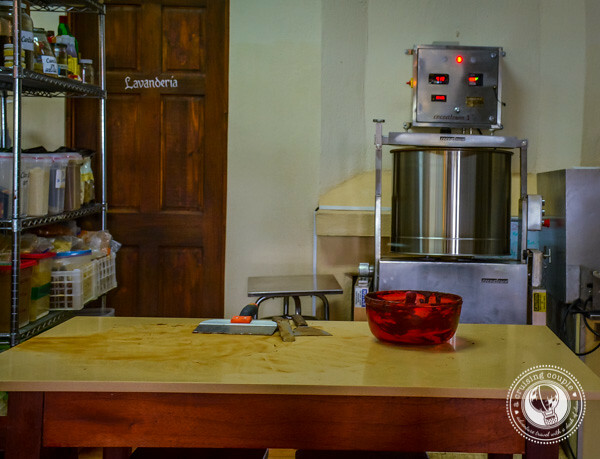 While there are many other walking tours throughout Costa Rica that will take you through the bean-to-bar chocolate making process, this tasting experience is as unique as it is delicious. The restaurant also serves a farm-to-table lunch menu. While we were too full to eat anything else after the chocolate, it’s a scenic place to eat something savory after all that sweet. 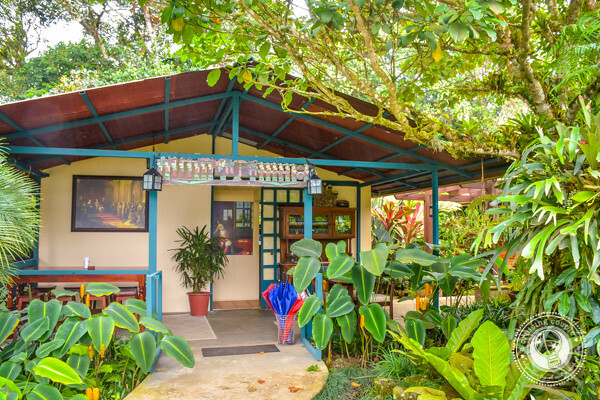 Costa Rica is increasingly becoming known for its artisan chocolates; we think a chocolate tour in San Jose is the perfect way to start or end any trip to the country. Do you enjoy chocolate tours? What is your most memorable chocolate experience?